Hello lovelies! 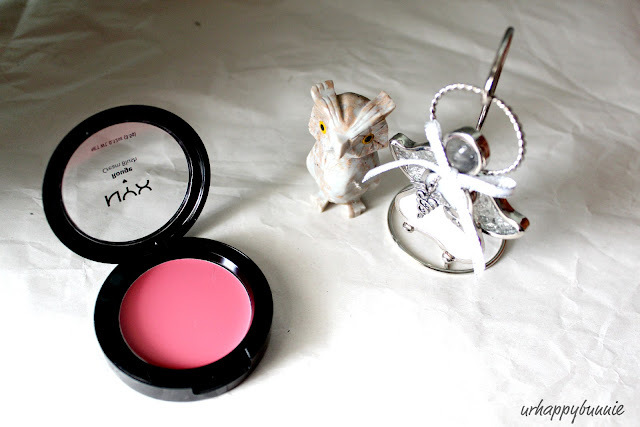 I have posted up my review on the NYX Rouge Cream blushes in Boho Chic and Tickled a while back and I raved about these blushes so much that I ordered two more. I am really going to finish collecting all the shades one day. Why not buy all the shades together? Well, though the product is inexpensive, buying a few shades at a time gives me something to look forward to and discover the next time I buy the other shades. If I bought all of them at the same time it would take awhile to try all of them. 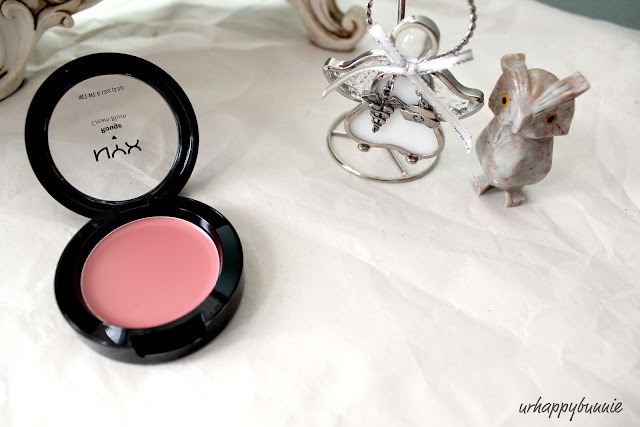 Here is the first one: NYX Rouge Cream Blush in Glow. Glow is a bright, warm pink (sadly the photo doesn't show the true color of the blush). It is much brighter than Boho Chic which is a cool tone pink. 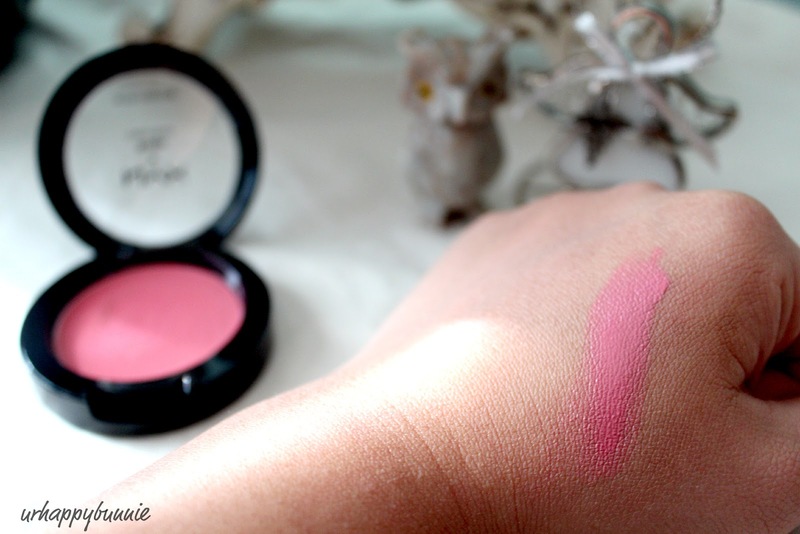 This blush is very pigmented and just a small amount of it blended onto the cheeks will give the illusion of pinched cheeks. 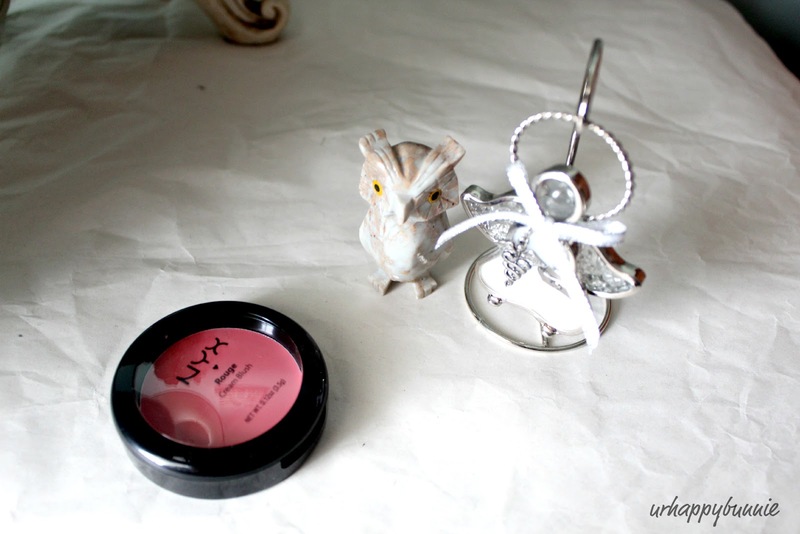 When I first applied this blush I got too much on that I had to go over with my foundation brush to lessen the brightness. Natural is a peachy pink blush that leans on the cooler tone. When blended into the cheeks gives a nice look of soft, slightly pink cheeks. Such pretty colours. Where did you get these from? Any chance they do intl shipping haha. I believe I got it from Ulta. I'm not sure if they do international shipping. :( Sorry. It's nice you take time to appreciate each shade instead of getting them all at once and can't use them all at the same time anyway. 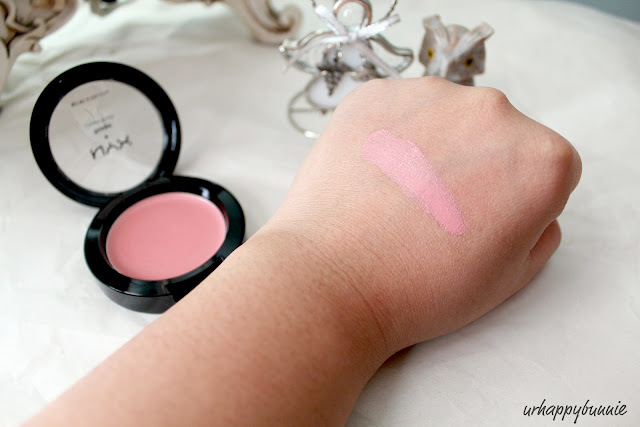 I've never tried cream blushes, I'd always imagine that the texture would be odd, but the colours you got are really nice and vivid in colour. 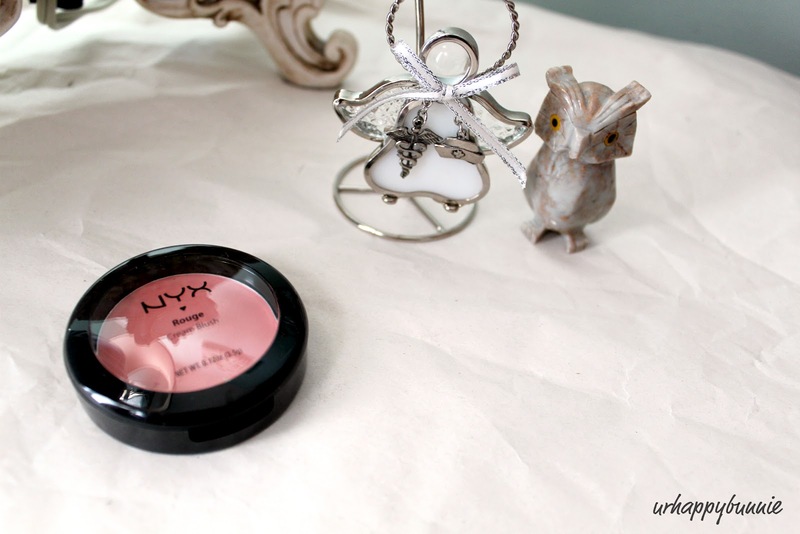 I love NYX products! these colours are amazing specially the pink one! soooooo pretty! I love this color - perfect for Spring.